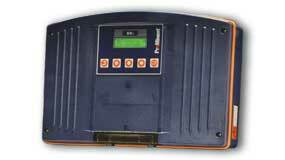 Water Treatment Controllers Transmitters | ProMinent Fluid Controls, Inc. ProMinent describe the use of measuring and control technologies for fluid metering as “intelligent metering”. Using the right measuring and control technology can help to substantially optimize metering of fluid chemicals. This starts with simple transmissions of the measuring signal for forwarding it to a programmable logic controller, proceeds with calibratable measuring devices with indication of the measuring value, includes controllers, that on their part are already designed for simple to complex control tasks. Integration of the control circuit into a Bus system can be effected by our PROFIBUS®-DP and CANopen-Bus components. Beside single components we offer completely mounted measuring stations for some measuring values. For reliable supervision of your measuring stations, ProMinent offers a comprehensive accessory and spare parts range, even for elder components for many years after commissioning. A wide range of sensors allows exact registering of the concentration for almost every important metering task.